This product is made from Red Grape concentrated juice with the special process and sprays dry technology. The powder is fine, free-flowing and Purple-red in color, good solubility in water. 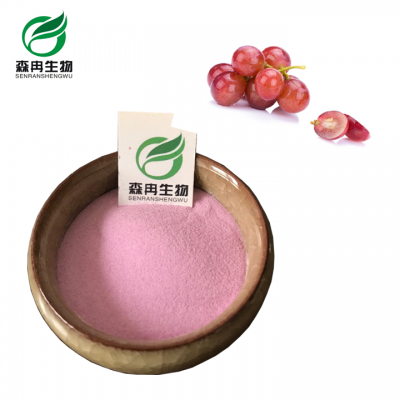 This Product has the characteristic taste of fresh grapes and contains various organic acids, rich vitamins, abundant mineral substances, amino acids, protein, and carbohydrate. It is the form of powder featured of good flowability, excellent taste, good water-solubility, and easy preservation. Lower the incidence of diabetes. A new efficient antioxidants, which can reduce the morbidity of heart disease, cancer. Increase vascular resistance, reduce capillary fragility. Prevent or mitigate bruises, varicosis. To enhance the skin elasticity and smoothness.